In a single shot or in the form of a photo essay, you should encapsulate how individuals are envisioning contemporary transformations, diversification and multiplications to provide different perspectives on what the future holds for both regions. Submissions close on 9 August 2012. The competition is open to citizens of Southeast Asian countries aged 30 and below as of 31 December 2012. Prize winners will be required to submit documentary proof of meeting these requirements, such as a copy of his/her passport. Entries will be accepted from 9 May 2012 to 9 August 2012 (11.59 pm, UTC/GMT +8 hrs). Submissions without an accompanying entry form or an incomplete entry form will be deemed incomplete and thus void. The EU Centre is not responsible for entries that are incomplete, illegible, corrupted, or that have failed to reach the EU Centre. Proof of sending is not proof of receipt. By entering the competition, you declare that you are the sole author and owner of the photograph(s). Previously published work, work used for commercial purposes, and photographs which have won prizes in other competitions are not eligible for submission. The submission should not contain images, in part or full, that you have purchased rights to from an image bank. Photographs should not infringe on copyright, trademarks, or intellectual property rights of any third person or entity. The EU Centre recognises your right to retain full ownership to the copyright to each photograph. However, The EU Centre reserves the non-exclusive right to reproduce images submitted, and to print, reproduce and display images submitted without obtaining further permission of the copyright owner, and without royalty or compensation, for uses both in print and online, and display in media, for purposes relating to the Photography Competition or the EU Centre’s activities. Credit will be given to the photographer for any images used. You acknowledge that it is your own responsibility to protect any photograph against image misuse by any third party. The EU Centre will not accept any liability for the unauthorised duplication or image misuse of images submitted to the competition. Entries will be assessed by a jury selected by the EU Centre, whose names will be made known before the judging period. Their decision is final. The names of the winners will be published on the EU Centre website within one month of the closing date of the competition and will be contacted via email. Should the winner not respond within 30 days, the unclaimed prize will be awarded to substitute winners in accordance with these rules. Participants may enter both categories, but can only win one prizeWinners will be chosen based on their submissions’ relevance to the theme, its creative content and overall quality. The EU Centre reserves the right not to award a prize/prizes should the quality of submissions fall below a reasonable standard. By entering the competition, each entrant agrees to be bound by these terms and conditions. For correspondence relating to the competition, email eucphotocomp@nus.edu.sg. Submission guidelines Each submission must come attached with a completed entry form. Incomplete entries might be disqualified. The submission of works signifies that the participant accepts the terms and conditions of the competition. Participants may submit entries to both categories. However, each contestant can win only one prize. Image editing and enhancements are permitted, though significant additions and removal of elements that alter the nature and reality of the photograph are unacceptable. The properties of the image should not be altered, and all metadata should be the original. Please do not add watermarks or borders to your images. Entries are to be sent digitally to eucphotocomp@nus.edu.sg with the entry form attached. Alternatively, please provide a download link to the photograph or photo essay (through providers such as Yousendit or Dropbox). Categories Open category Single images only. Please have a title for each photograph. Each participant is allowed to submit up to 3 photographs to this category. Subsequent entries will be disqualified. You must include accompanying text of between 50 – 100 words explaining the photograph’s relevance to the theme, and/or providing additional information. Photographs must be in JPG or JPEG format, with a minimum of 1200 pixels on the long side. Photo essay Each participant is allowed to submit only one entry. Subsequent entries will be disqualified. The photo essay must be submitted in PDF or other slideshow format (eg: powerpoint, keynote) with a maximum of 25 images. No accompanying text is necessary. However, if you would like to add text, please have it contained within the photo essay. Marc Ungeheuer. Ambassador Marc Ungeheuer was appointed the Ambassador and the Head of the Delegation of the European Union to Singapore on 27 January 2011. Before joining the European External Action Service, he served as the Ambassador and Plenipotentiary of Luxembourg from 2002-2010, during which he was posted to Beijing, and later, to Bangkok. He was in Beijing from 2002- 2007 and during that time, he was overseeing China, Vietnam, Mongolia, Singapore and Laos PDR. He was later posted to Bangkok from 2007-2010 where he oversaw Thailand, Vietnam, Singapore, Laos PDR, Malaysia, the Asean Secretariat and Indonesia. Before being posted to Asia, Ambassador Ungeheuer was seconded to the Permanent Representation of Luxembourg to the European Union in Brussels. He was an assistant to the Ambassador, and as such, a member of the Antici group (1) which he was chairing together with the Asia Working Group in 1997 during the Luxembourg EU Presidency. Later, he was the Deputy Permanent Representative of Luxembourg to the European Union from 1998-2002 and as such, he was member of Committee of Permanent Representatives (COREPER) in the European Union. He has a diploma from the Institute of Political Science of Paris (IEP) in International Relations, a Masters in Business Law and another Masters in International and European Law. Sean Lee. Sean is freelance photographer based in Singapore. He took his first photography course at Objectifs in 2003. Since then, Sean has gone on to specialize in fashion and portraiture, having done work for various fashion magazines regionally and shooting advertising campaigns for corporate clients such as Crocodile, Singapore Airlines and Citibank. On the personal front, he has had a number of exhibitions locally and abroad. In 2007, he participated in the Angkor Photo Festival where he won the Special Jury Prize. In 2009, Sean was one of 15 photographers worldwide to be nominated for the prestigious Prix Découverte in the Les Rencontres d’Arles (Arles Photo Festival) in France, where he also had a group show. In early 2010, he was nominated for the Paul Huf award, given out by Foam Fotografiemuseum in Amsterdam. In 2011, Sean exhibited his works in Paris, Barcelona, New York and Istanbul. He was the winner of the 2nd Icon de Martell Cordon Bleu photography award in 2011. 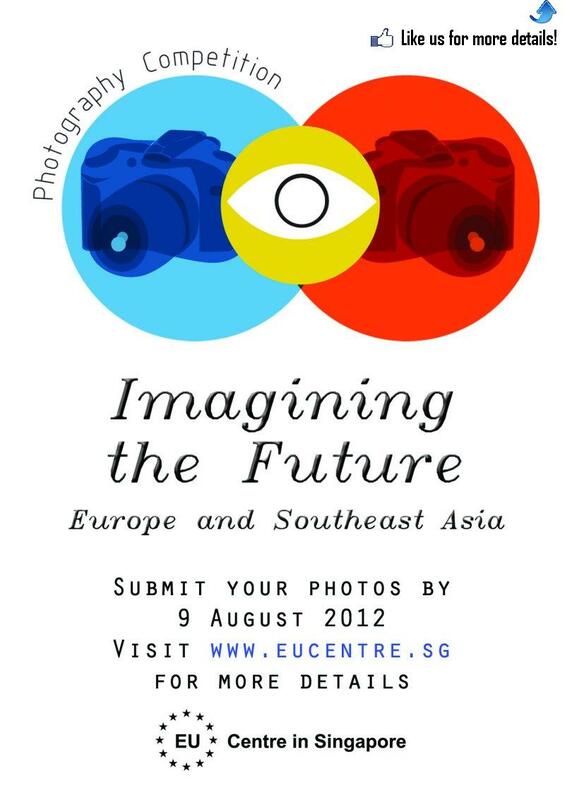 For correspondence relating to the competition, email eucphotocomp@nus.edu.sg.